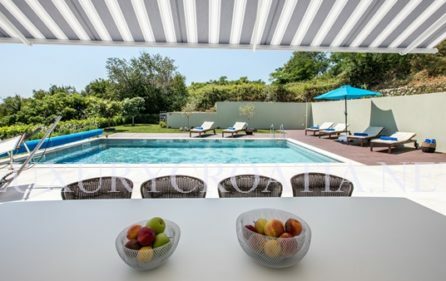 SPECIAL PROMOTION FOR JUNE 2018.!! 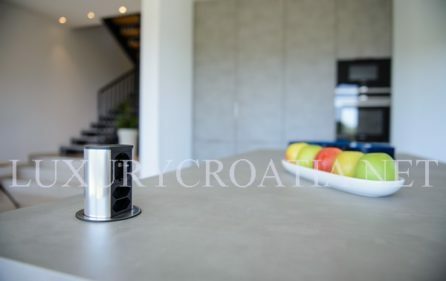 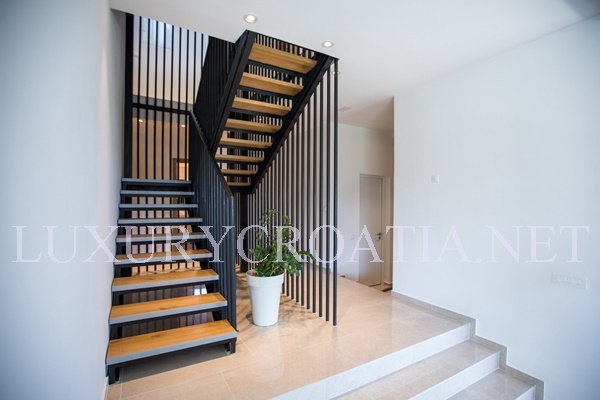 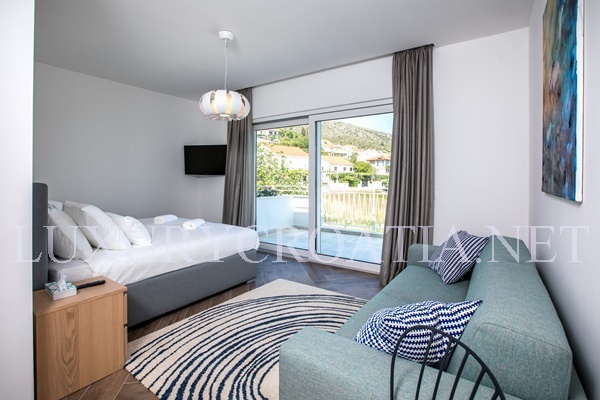 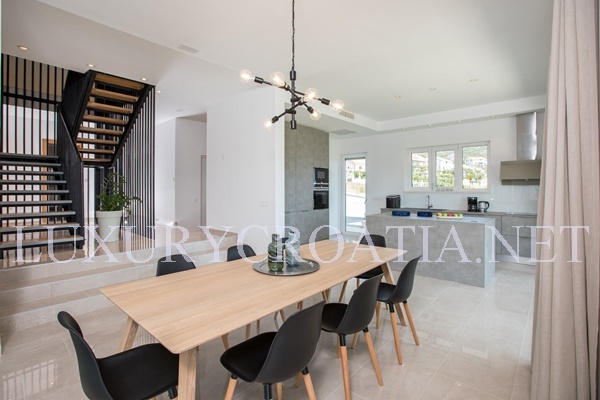 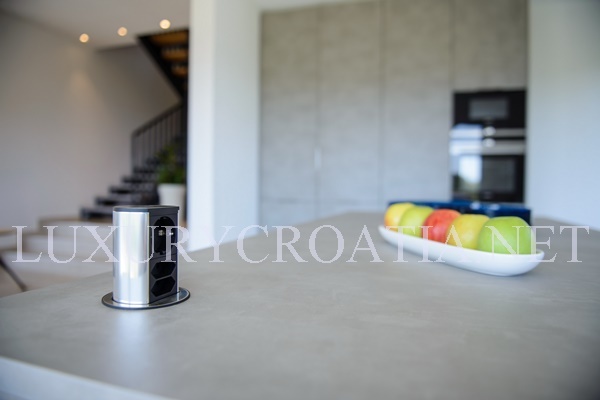 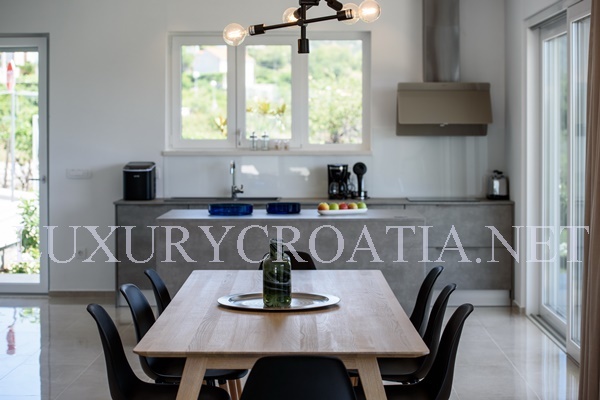 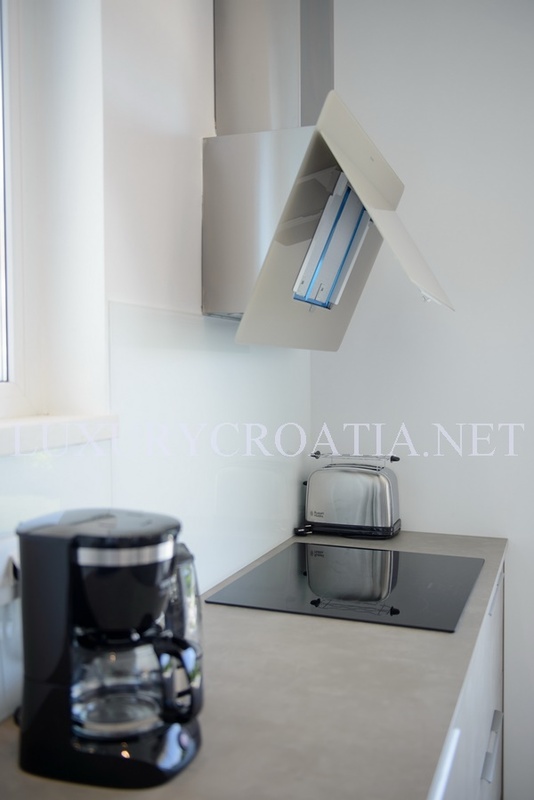 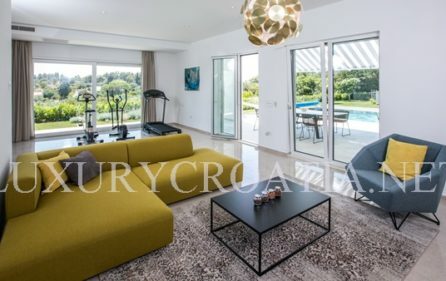 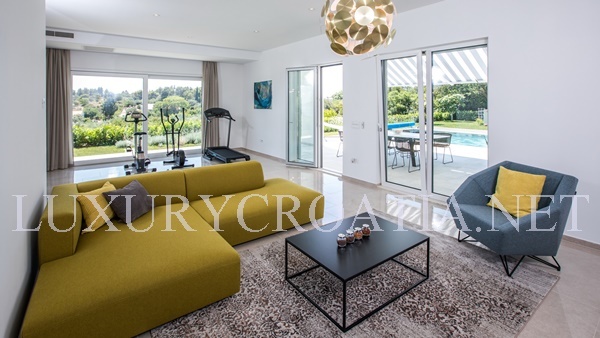 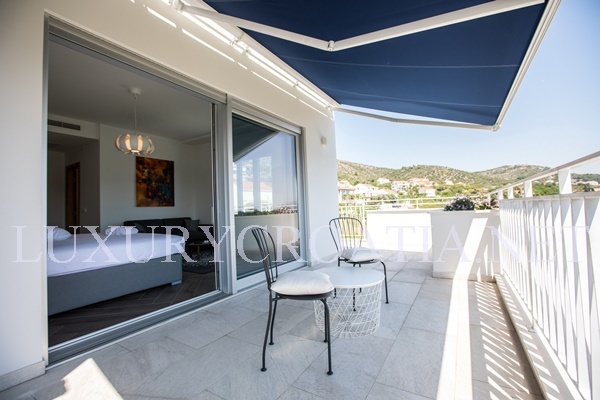 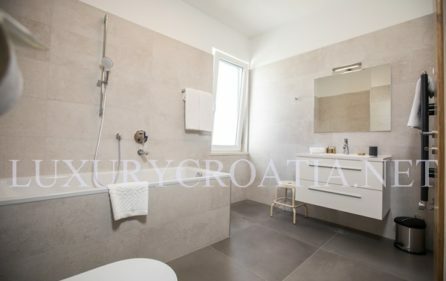 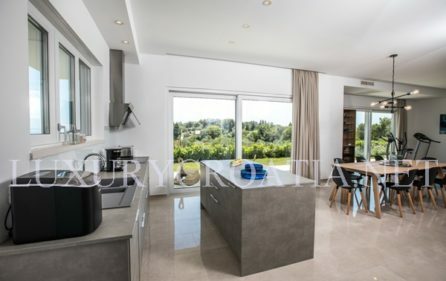 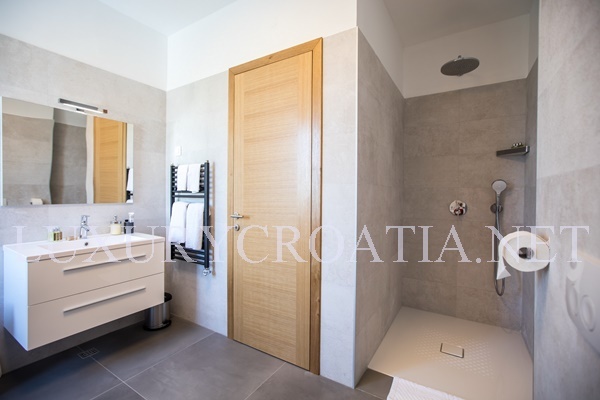 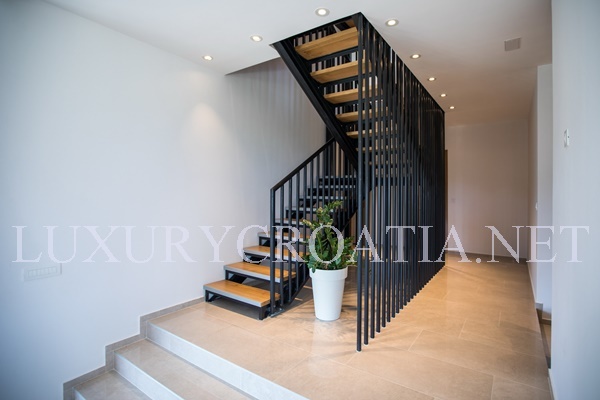 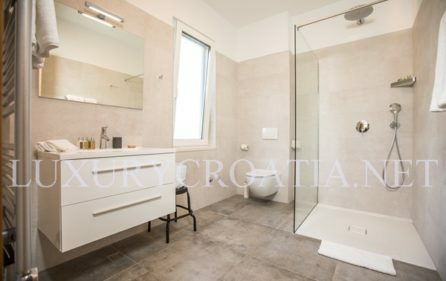 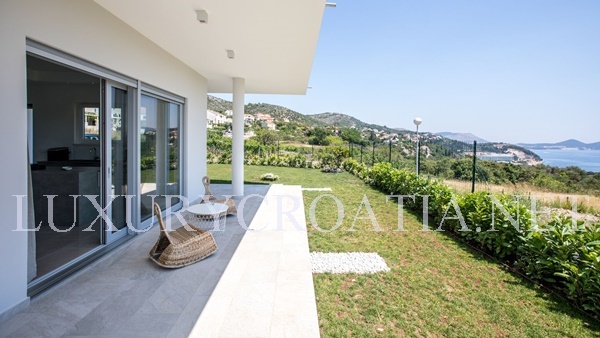 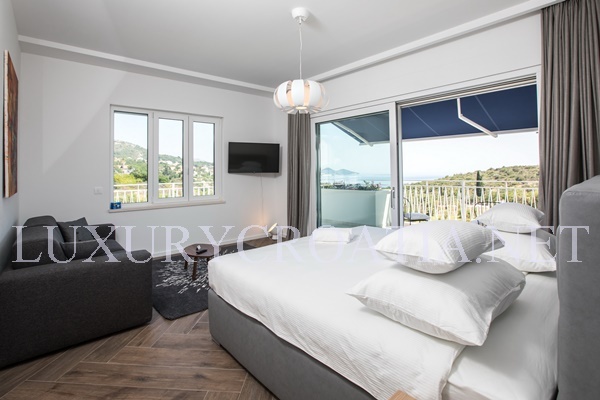 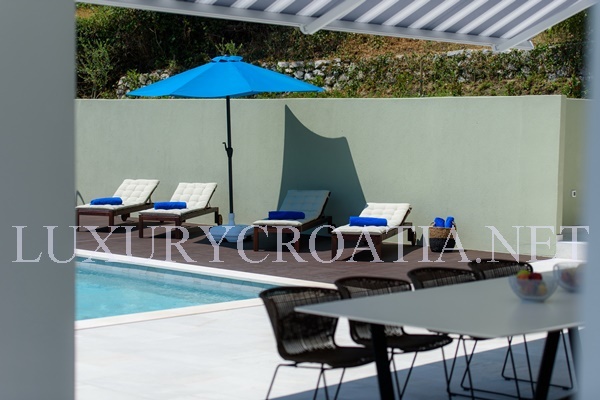 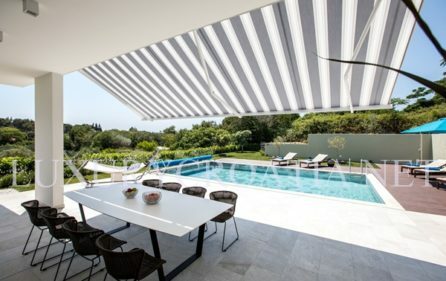 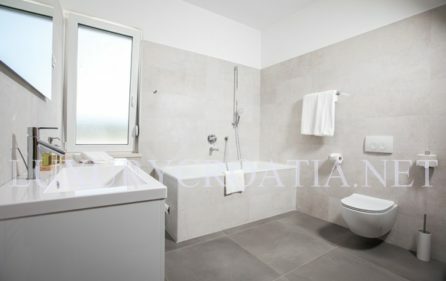 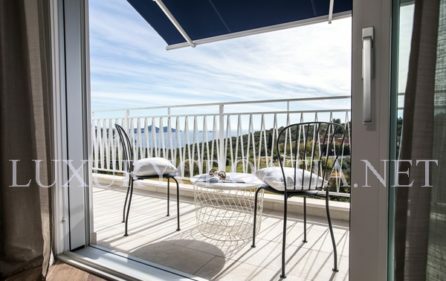 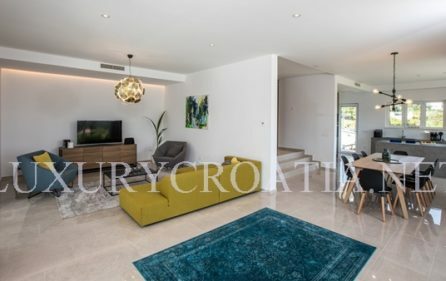 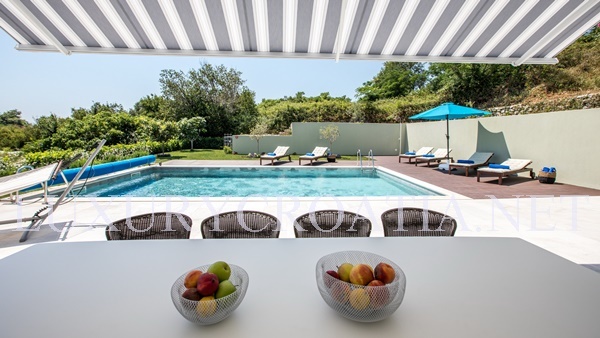 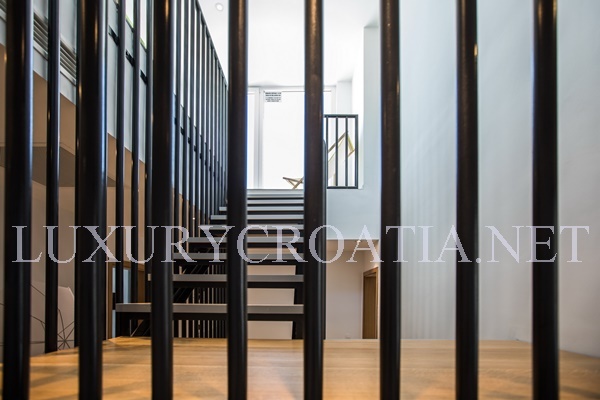 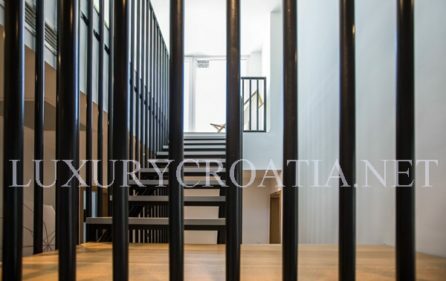 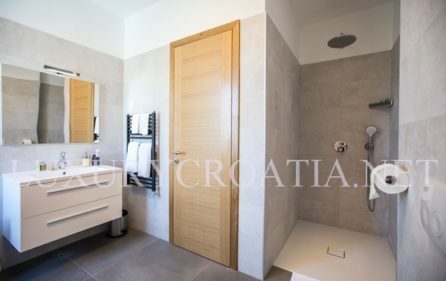 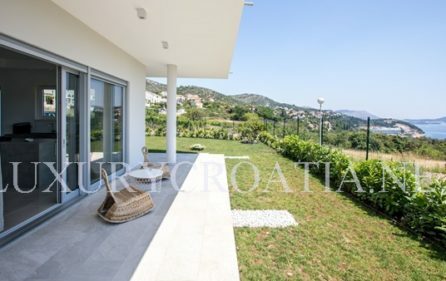 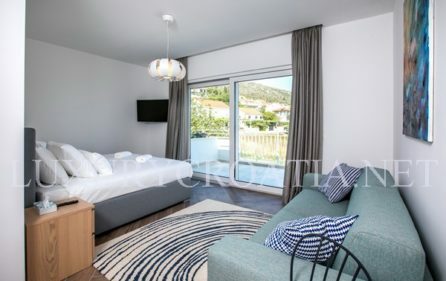 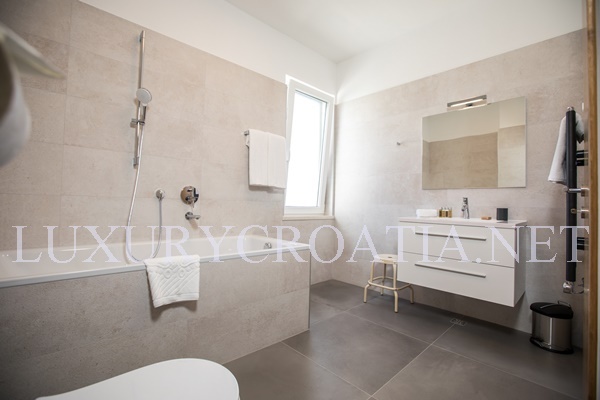 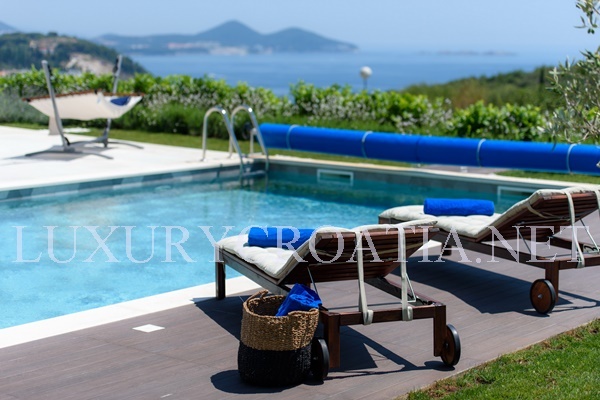 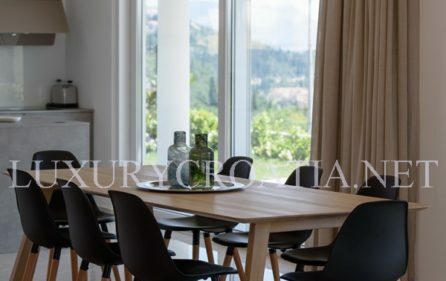 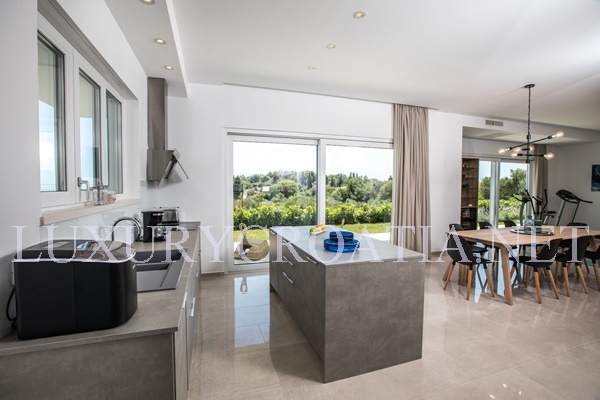 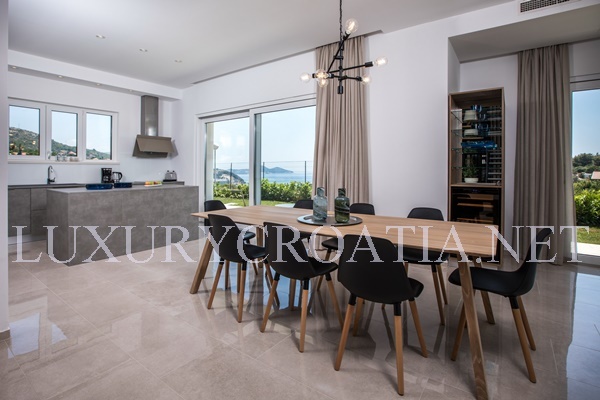 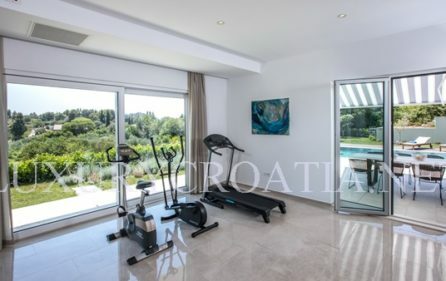 Pool villa for rent in greenery, Orasac, Dubrovnik area is located 12 km west from the Old town Dubrovnik, in the middle of the green oasis. 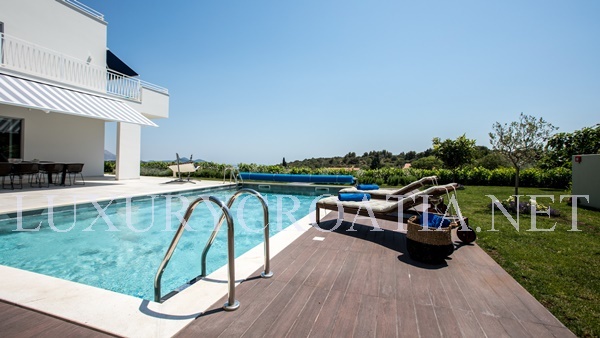 This villa features pool, sundeck area and a great cultivated garden with olive trees, grapes and citrus trees. 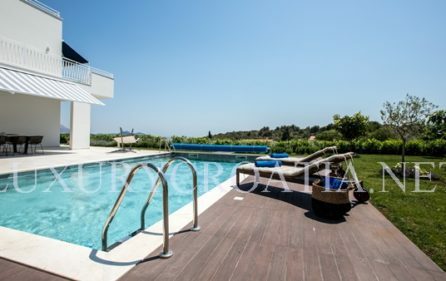 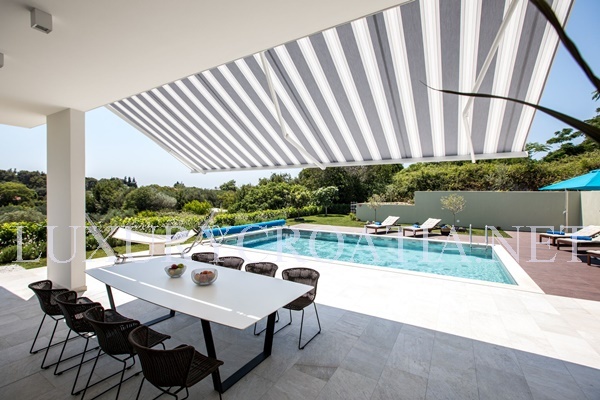 Situated on a plot of 1000 m2, this large home has fragrant Mediterranean gardens and a tucked-away terrace lounge with a barbecue and heated pool. 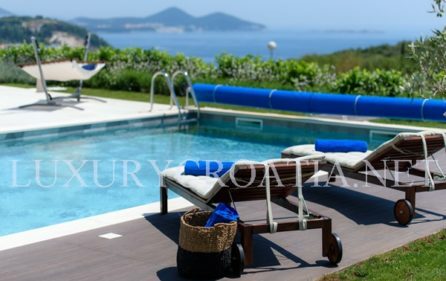 The east-west orientation of the villa gets you maximum sun exposure and the sea view from all front-of-the-house areas and bedrooms. 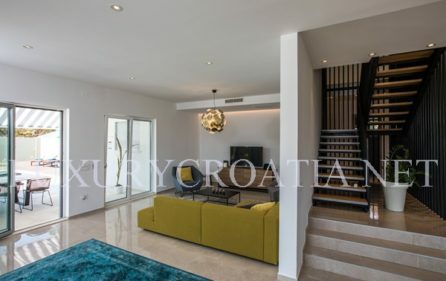 This pool villa has 2 floors. 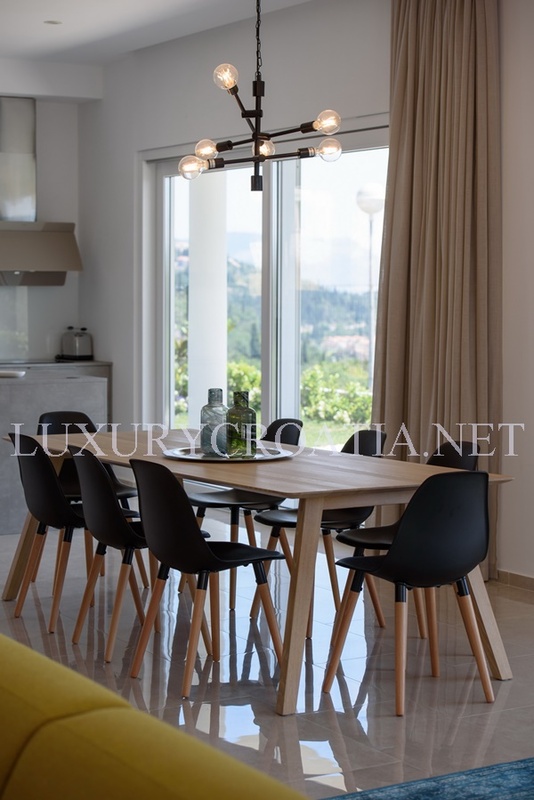 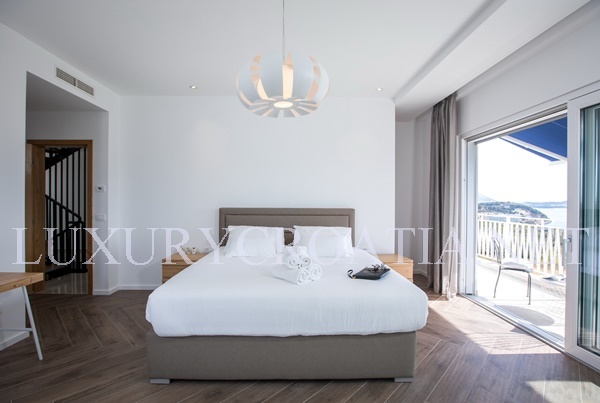 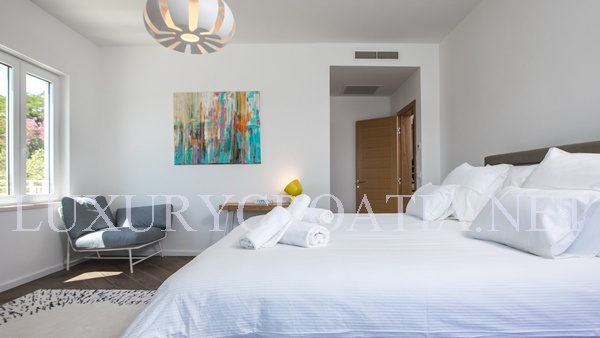 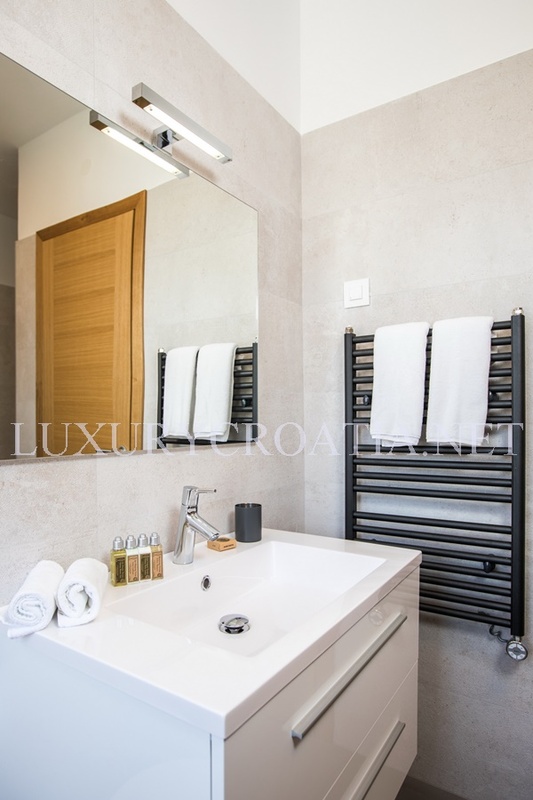 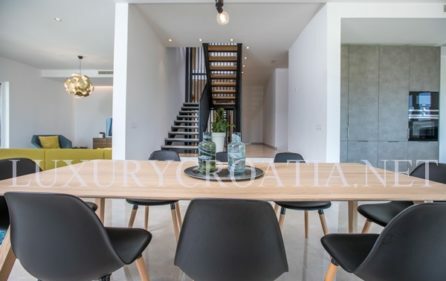 On the ground floor, there is an open-concept kitchen, dining, and living area and the upper level with four bedrooms comprise 300 m2 of interior space and come topped with a rooftop terrace. Eight guests can enjoy staying at this private villa, and 4 more can be accommodated on pull-out sofas. 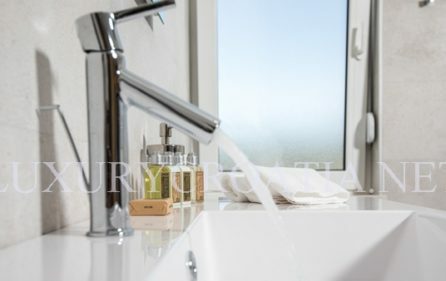 The style of the Villa rests upon clean lines and bold details. There are two entrances to the villa: from the east, either through the main door or directly from the private garage with parking for two vehicles. 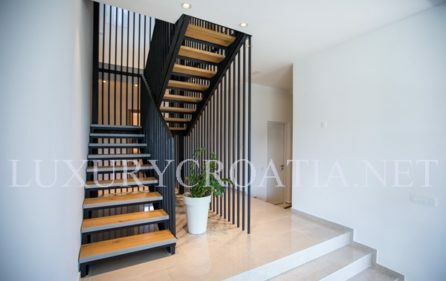 As you step into the entrance foyer with an open ceiling, the front and the back of the house are to your left and right. 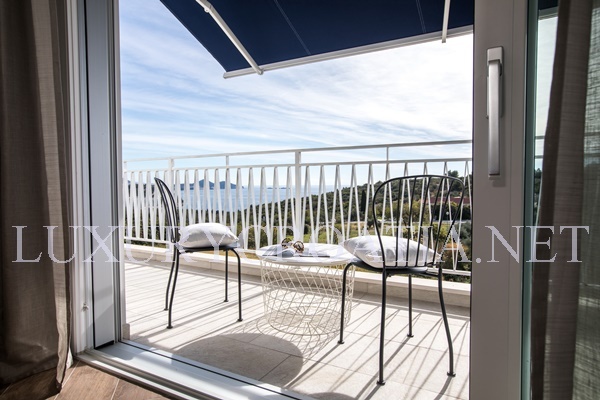 Support rooms (storage, boiler, laundry, and toilette) are all at the back so that the front relishes inspiring views. 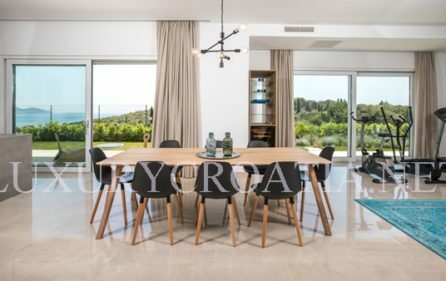 Fine wooden dining table seating up to 12 guests. 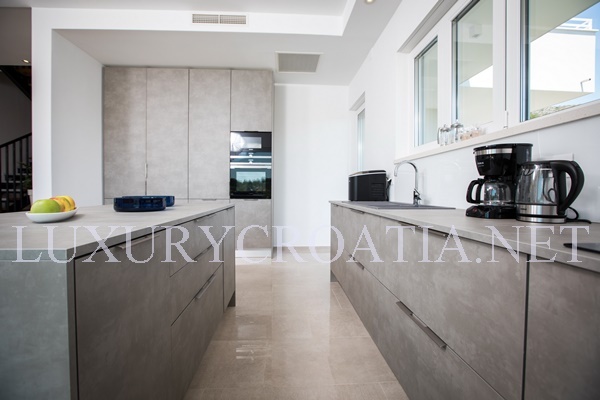 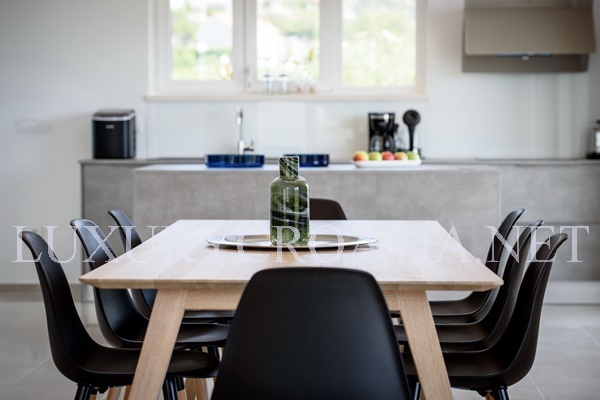 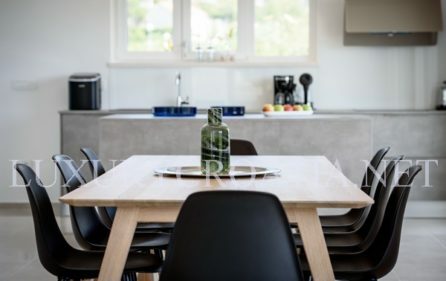 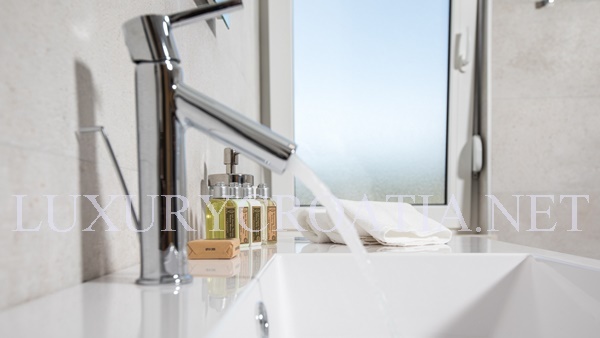 To the left, a modern kitchen with modern appliances enables you to enjoy a completely self-sustainable stay. 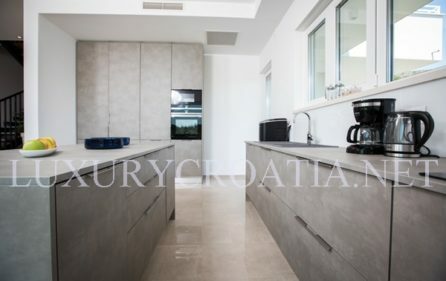 There is a possibility of hiring a private chef. 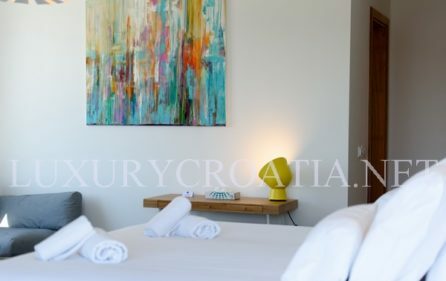 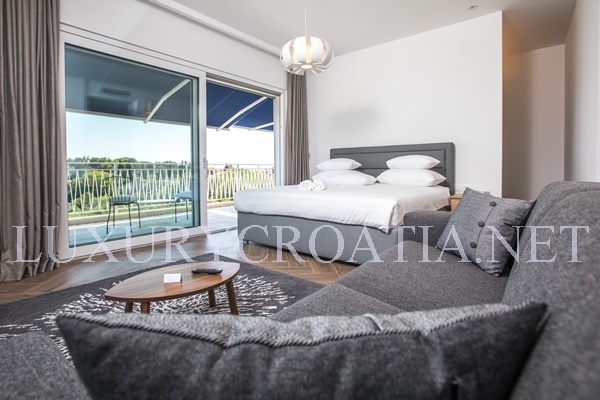 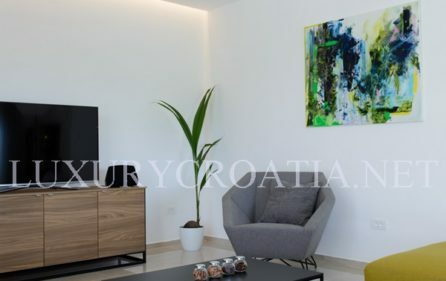 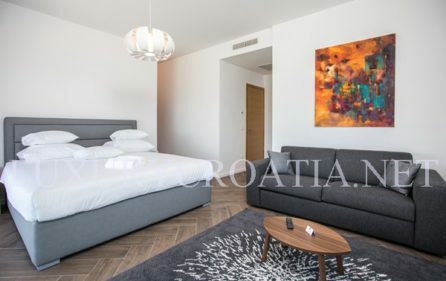 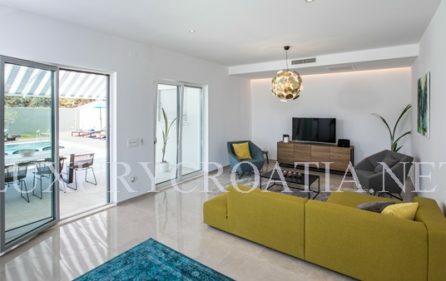 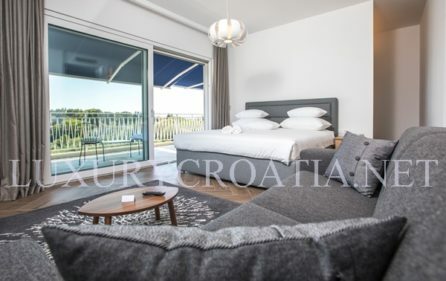 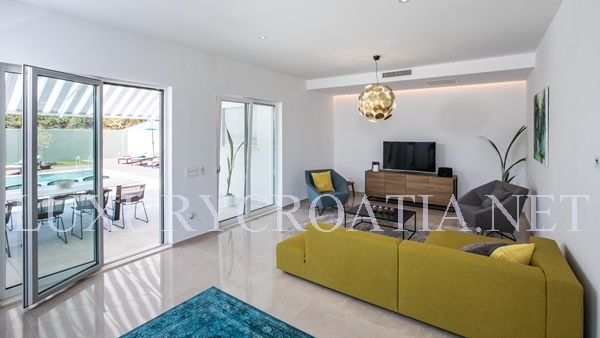 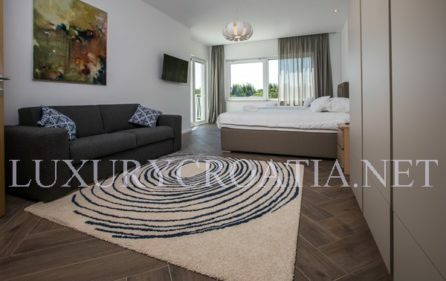 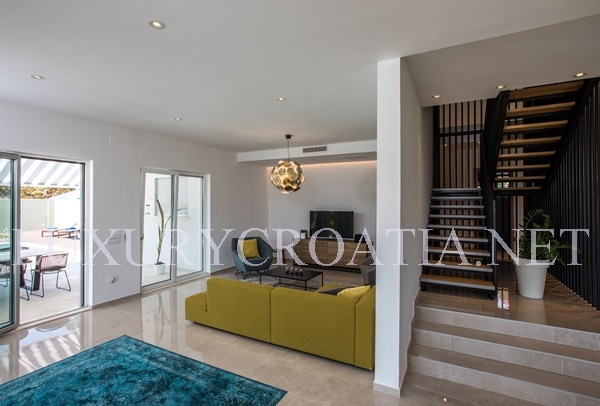 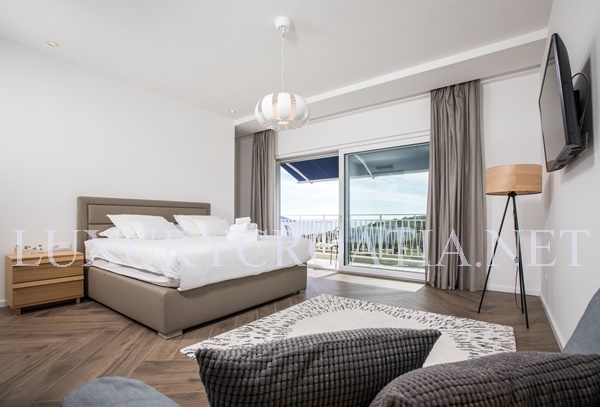 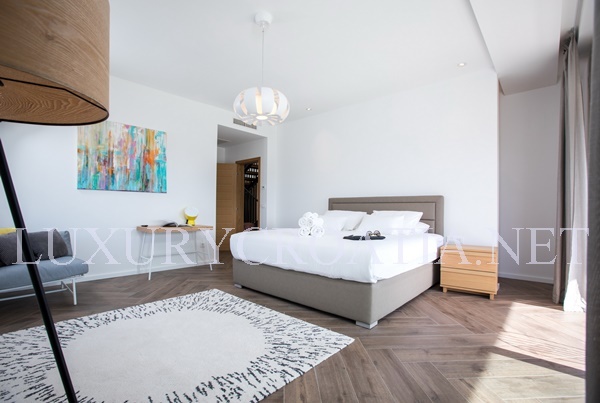 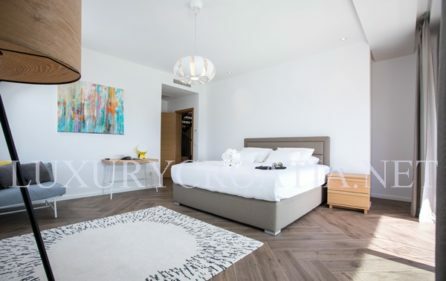 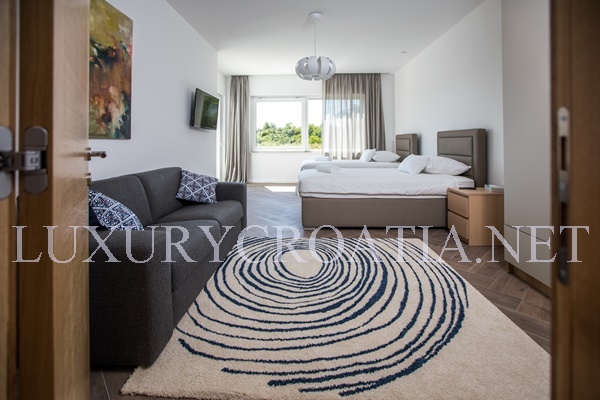 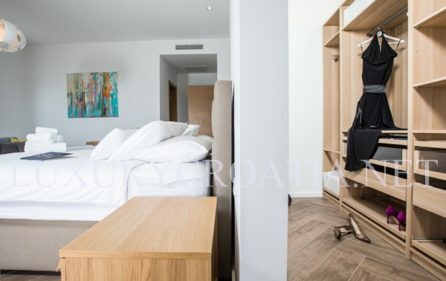 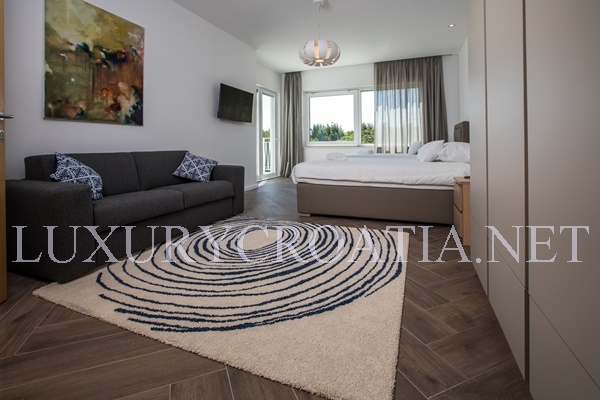 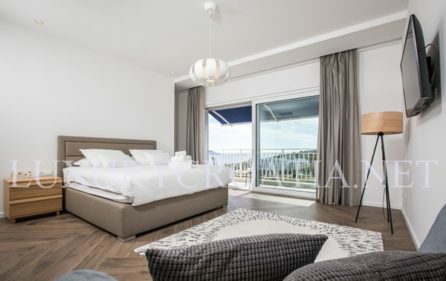 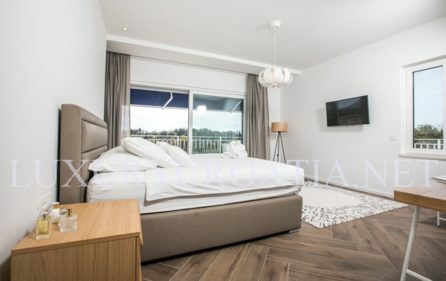 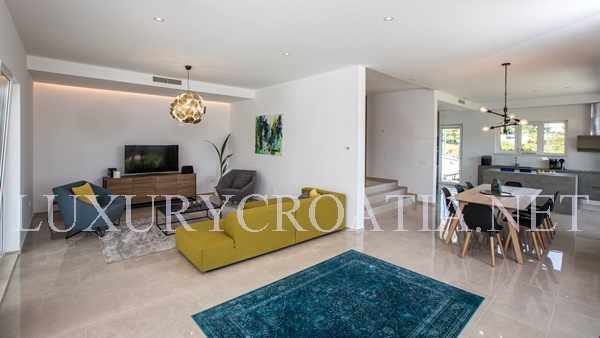 In the roomy living area to the right, lush relaxation awaits among stylish sofas and armchairs of Croatia’s internationally acclaimed brand Prostoria. 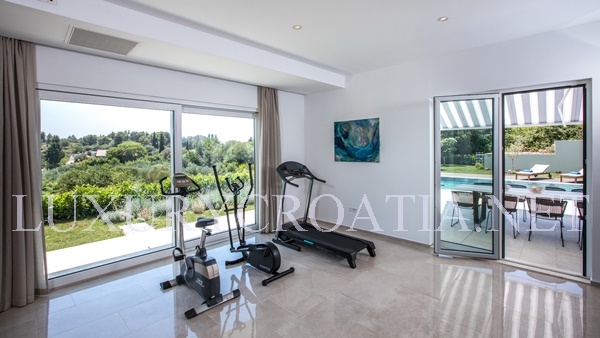 The ground floor interior seamlessly transitions into a private terrace and pool area west of the house. 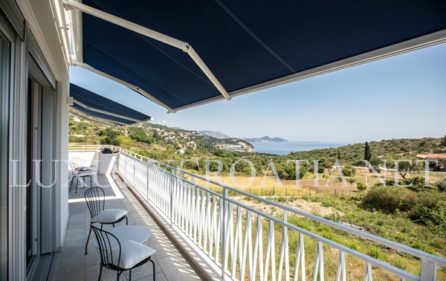 To top it all off, walk up to the open-air terrace on the roof of the villa an enjoy the remarkable and breathtaking panorama views which blend nature, history, and culture into snapshots. 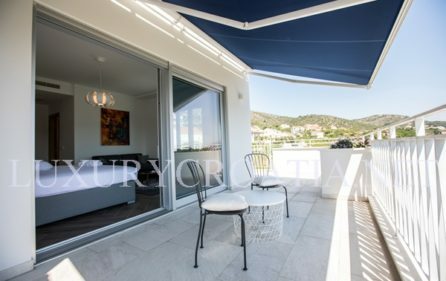 Come up to enjoy the views, perhaps a quiet moment, but certainly to get a 360-degree perspective on things. 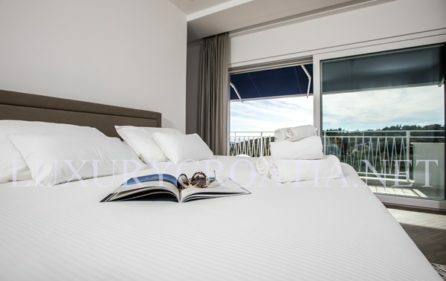 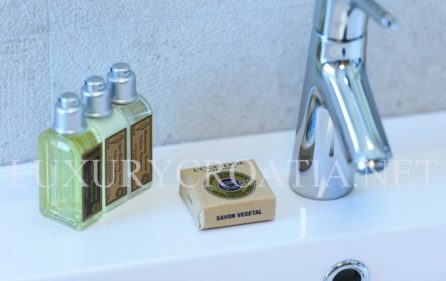 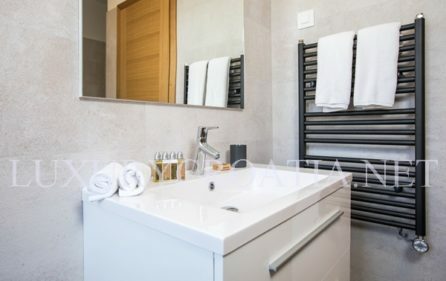 To make sure you enjoy every moment of your stay, our Villa Manager will welcome you upon arrival at the Villa, as well as remain at your disposal for anything you may want during your stay.